Organic chips are chips produced from produce that has been grown organically. The organic chips market has grown at a steady growth rate over the last few years due to the growing popularity of organic foods and its rising acceptance as an alternative to conventionally grown foodstuff. Organic chips may be produced from vegetables, fruits, cereals and grains, etc. Manufacturers of organic chips are looking to cash in on the demographic of urban users who have been eating conventional chips and other baked potato products but want to switch to a healthier alternative, as well as new users who want to find a healthy snack that they can consume without feeling bad about their dietary choices. This is likely to be a major driver for the global organic chips market over the forecast period, as the popularity of organic foods is likely to grow steadily over the forecast period. The rising availability of advanced distribution networks, including super/hypermarkets, is also likely to be a major driver for the global organic chips market. Like manufacturers, retailers are also looking to cash in on the increasing popularity of organic food by maximizing the availability of organic products in their stores. This is likely to be a major driver for the organic chips market over the forecast period. Market Research Future (MRFR) has launched a new release on the global organic chips market. 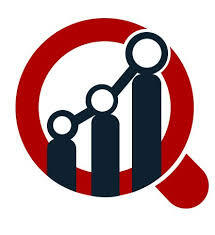 The report presents a detailed overview of the global organic chips market’s growth trajectory over the forecast period from 2017 to 2023 based on a detailed analysis of the market’s historical growth trajectory and leading drivers and restraints. Leading players in the global organic chips market include Luke’s Organic, Kettle Foods Inc., Popchips, General Mills Inc., Rhythm Superfoods, The Hain Celestial Group Inc., and Tyrrell’s Potato Crisps Limited. In January 2019, Rhythm Superfoods announced plans to expand into manufacturing organic fruit chips, following on from the success of its organic vegetable chips products. The global organic chips market is segmented on the basis of source, packaging, distribution channel, and region. By source, the global organic chips market is segmented into vegetables, fruits, cereals, grains, and others. Vegetables are likely to remain the most popular source for organic chips producers over the forecast period, as the easy availability and high production volume of vegetables have made them the perfect material for organic chips. Furthermore, the inherently healthy nature of vegetables has also made them perfect for use in organic chips. In addition, vegetable and fruit chips can also be consumed by consumers with gluten intolerance, making them more widely consumable. Organic chips made from cereals and grains are also likely to exhibit stellar growth over the forecast period. By packaging, the global organic chips market is segmented into cartons, pouch, and others. Pouches are likely to remain the leading segment of the global organic chips market over the forecast period due to the convenient usability and disposability of pouches for individual customers. By distribution channel, the global organic chips market is divided into store-based and non-store-based distribution. Store-based distribution is likely to be the major distribution channel for the organic chips market over the forecast period due to the ease of the one-stop shopping experience. However, online shopping is also likely to emerge as a key part of the organic chips market over the forecast period. The global organic chips market is segmented into North America, Europe, Asia Pacific, and rest of the world. North America is likely to be the leading regional segment of the global organic chips market over the forecast period due to the growing popularity of organic food in the U.S. The growing prevalence of obesity in the U.S. is also likely to be a major driver for the organic chips market, as consumers are looking for healthier alternatives to conventional food to combat obesity. Europe is also likely to be a major regional market for organic chips over the forecast period, driven by growing demand from Germany and France. Asia Pacific is likely to exhibit the fastest growth in the global organic chips market over the forecast period due to the growing disposable income of consumers in the region and the improving economic conditions.